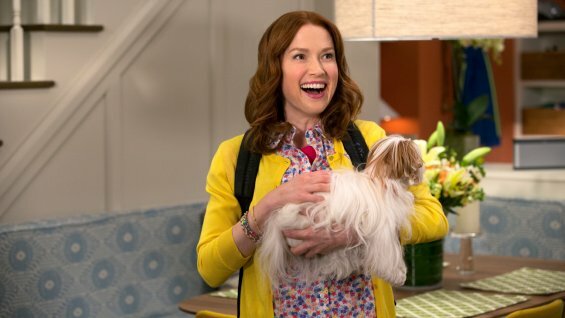 See How ‘Unbreakable Kimmy Schmidt’ is in New Trailer For Netflix Series!!! Riding high on the coat tails of Tina Fey’s final Golden Globe’s hosting gig, Netflix has released the first trailer for their new show from Fey and Robert Carlock (writer for ‘Friends‘, ‘Saturday Night Live‘ and ‘30 Rock‘). ‘Unbreakable Kimmy Schmidt‘ was originally conceived for a run on NBC, but Netflix swooped in for the rights once NBC backed out. The series follows Ellie Kemper (‘The Office‘, ‘Bridesmaids‘) as Kimmy who is rescued from a doomsday cult in Indiana where she survived on beans for 15 years. After her rescue, she heads to New York City with a backpack to restart her life. This doesn’t sound like much of a premise to me, but Netflix gave the series a 2 season commitment and are planning to release the first season on March 6. Check out the first trailer! This entry was posted on Thursday, January 22nd, 2015 at 2:23 pm	and is filed under News, Television. You can follow any responses to this entry through the RSS 2.0 feed. You can skip to the end and leave a response. Pinging is currently not allowed. « Interview with Kevin Macdonald on ‘Black Sea’!